When disabled ex-Marine Mark Graham reconnects with his best friend’s sister, he finds himself falling in love. But Beth Martindale’s presence is a constant reminder of events he’d rather forget. Mark wants to move forward, but the secrets surrounding her brother’s death, as well as his own confinement to a wheelchair, threaten to tear them apart.When a psychopath who calls himself The Knight fixates on Beth, Mark is determined to give her the protection he failed to give her brother on the battlefield, yet he discovers that a wheelchair isn’t the only impediment he has to keeping Beth safe. Review: It took me several chapters to get into this book, and I considered putting it down. That would have been a mistake, however, as the story improved dramatically. Despite the darkness of the chapters in the antagonists voice, they were necessary to see things as he saw them. Overall, I enjoyed Dog Tags and recommend it. Review: I found this book to be a little slower than I prefer. I enjoyed the story, but somehow it didn’t call to me to return when I wasn’t reading. The writing was excellent, and the plot well-thought out. Gabriel and Lara’s romance didn’t seem to be the focus of the story, but at the same time, it was. It’s hard to explain. 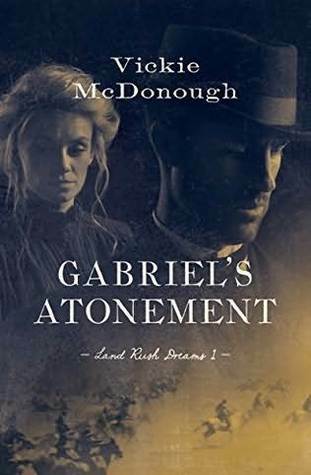 Despite all this I give Gabriel’s Atonement a 4-star rating because I think it was that well-written and deserves it. The above books were given to me by the author/publisher in exchange for an honest review.